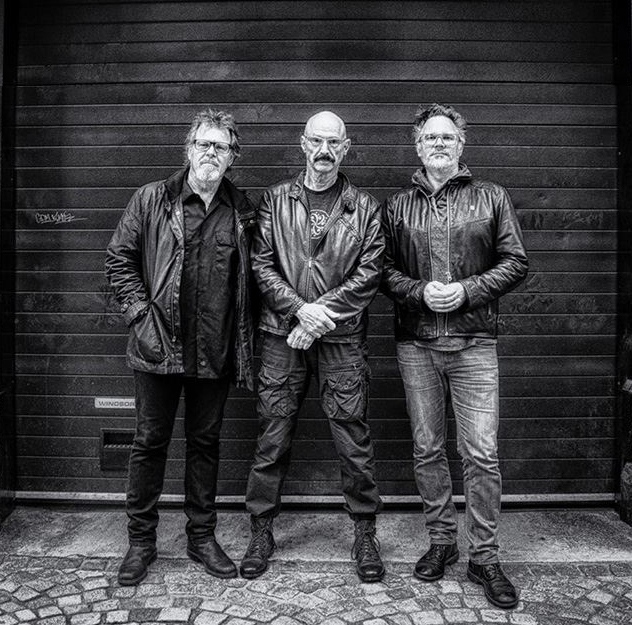 Tony Levin and Pat Mastelotto, the powerhouse bass and drums of the group King Crimson for a few decades, bring that tradition to all their playing. Levin plays the Chapman Stick, from which the band takes it’s name. Having bass and guitar strings, the Chapman Stick functions at times like two instruments. Markus Reuter plays his self-designed touch style guitar – again covering much more ground than a guitar or a bass. And Mastelotto’s drumming encompasses not just the acoustic kit, but a unique electronic setup too, allowing him to add loops, samples, percussion, and more. Born in Boston, Tony Levin started out in classical music, playing bass in the Rochester Philharmonic. Then moving into jazz and rock, he has had a notable career, recording and touring with Peter Gabriel, John Lennon, Pink Floyd, Yes, Alice Cooper, and many more. He has also released 5 solo CDs and three books. In addition to touring with Stick Men, he is currently a member of King Crimson and Peter Gabriel Band, and jazz bands Levin Brothers and L’Image. His popular website, tonylevin.com, featured one of the web’s first blogs, and has over 4 million visits. Markus is a composer, guitarist, and producer. Initially trained as a pianist, he subsequently studied Robert Fripp’s Guitar Craft and learned to play the Chapman Stick, later moving onto the U8 Touch Guitar. Reuter has released several solo recordings and worked extensively with other musicians. He is one of the core members of the experimental band Centrozoon, is half of the duo Tuner (with Pat Mastelotto) and was also a member of Europa String Choir. Reuter has collaborated with Ian Boddy, Robert Rich, No-Man singer Tim Bowness, and many others. Very rarely does a drummer go on to forge the most successful career on the demise of their former hit band. Phil Collins and Dave Grohl have managed it, so too has Pat Mastelotto, a self taught drummer from Northern California, who has also been involved with pushing the envelope of electronic drumming. Pat has spent a lifetime jumping genres from pop, to prog, to electronica to world music with – among others – Mr. Mister, XTC, David Sylvian, The Rembrandts, Kimmo Pohjonen, and for the last 20 years with King Crimson.